Somewhere in the sprawling South African countryside, a small crowd gathered around a white rhinoceros that lay with its mutilated snout in the dirt. Blood poured onto the red-brown earth as an aid worker carefully dabbed a small white cloth around the gaping crater of flesh where the animal’s horn once was. It had been taken by poachers in the kind of heist that is all too common in South Africa. Encouraged by high prices for rhino horn on the black market, poachers are using increasingly sophisticated equipment to track and kill rhinos, using a tranquilizer gun or rifle to bring the animal down and then hacking off its horn with a chainsaw or machete. 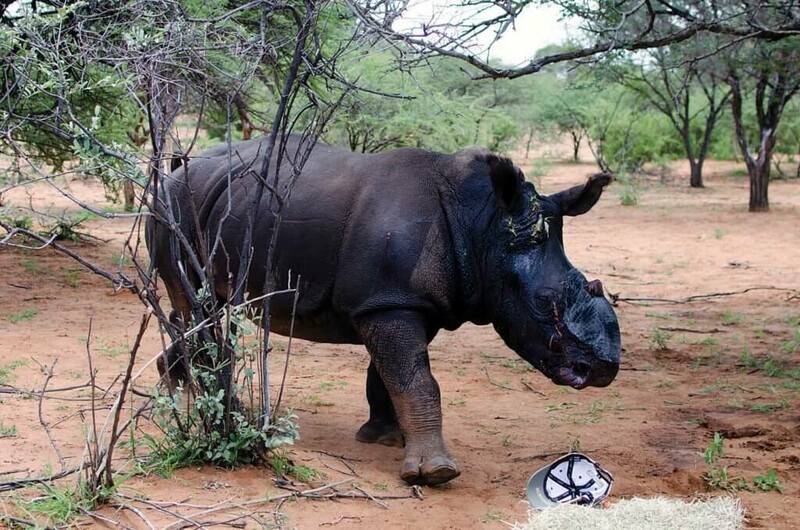 The rhino is then left to slowly and painfully bleed to death. Whether the animal survives depends on the severity of the injury and how quickly it receives aid. 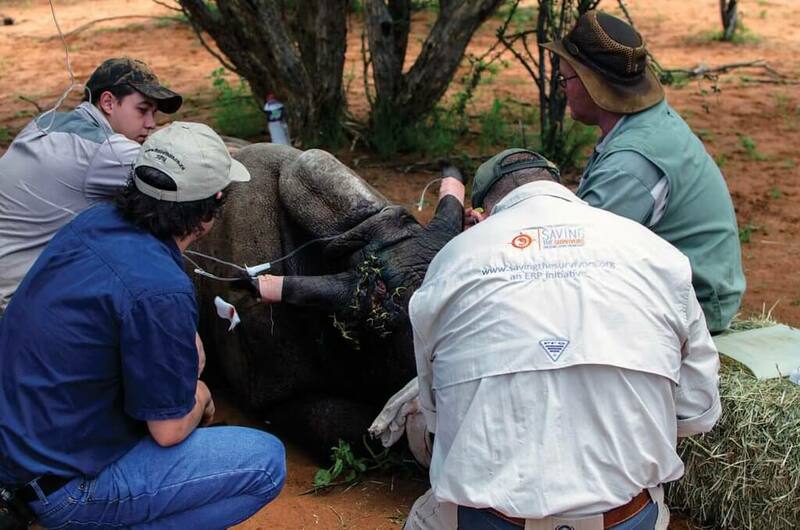 Thankfully in this case, rescuers found the rhino — named Vrystaat — in time. But hundreds of other white and black rhinos die from such attacks each year in South Africa alone. Black rhinos were once found throughout sub-Saharan Africa, with the exception of the Congo Basin, according to the WWF, a conservation organization formerly known as the World Wildlife Fund. But relentless hunting saw their numbers quickly decline, with only an estimated 70,000 surviving in Africa by the end of the 1960s. A poaching epidemic then began in the early 1970s, and by 1993, only 2,475 black rhinos were recorded. The total number of black rhinos in Africa has since grown to around 5,000, and while white rhinos have also rebounded from the edge of extinction (from a population of less than 100 in the late 1800s to about 20,000 today), poaching remains a significant problem for both species. Poachers killed at least 1,338 rhinos across the continent in 2015, according to data from the International Union for Conservation of Nature (IUCN). This was the highest level since the current poaching crisis began to emerge in 2008, the IUCN reported on its website. Since then, poachers have killed at least 5,940 African rhinos. According to the African Wildlife Foundation (AWF), powdered rhino horn is used in some countries as a treatment for hangovers, impotence, fever and cancer — though it has been proven to cure none of them. The high demand for rhino horn has pushed the price to nearly $30,000 a pound — an irresistibly large return for those who see the rhinos as an easy target. The effects of poaching are often gruesome and sometimes fatal. But there is hope. 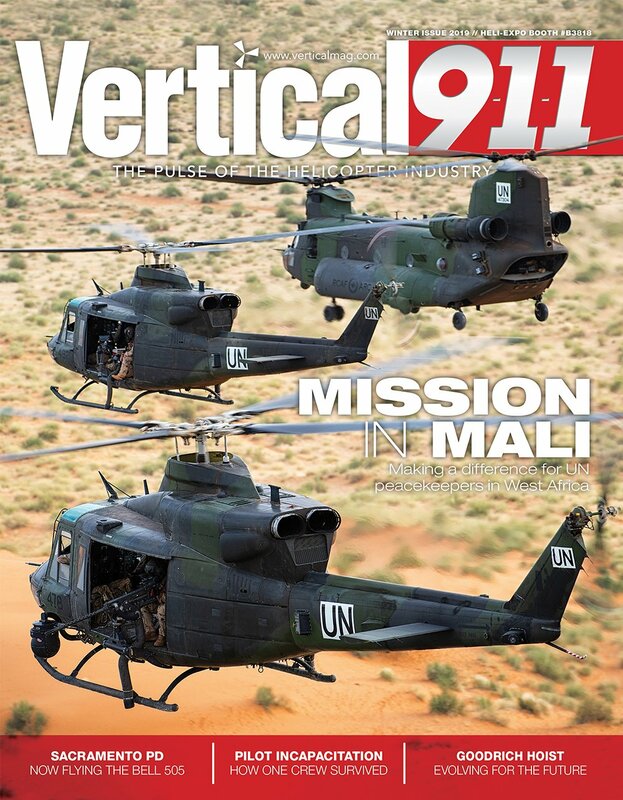 As Africa moves toward the goal of containment, the global helicopter community is moving with it, not only by raising money and awareness, but also by sending pilots and aircraft to the front lines of the rhino’s fight for survival. Nico Jacobs wakes up every day knowing his heart may break again. 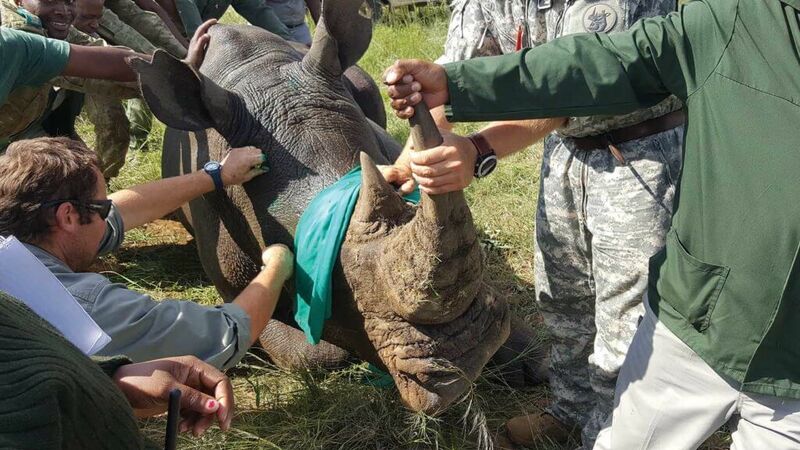 But even with the horrifying things he has seen as a pilot for the anti-poaching charity Rhino 911, he still has hope — helped by survival stories like Vrystaat’s. Rhino 911 formed in 2016 after Jacobs met Fred Hees, president of BBM Inc., a defense systems and life support company based in Reno, Nevada. Hees was born in South Africa but moved to the United States more than 20 years ago, starting BBM in 2013. He met Jacobs on a business trip to South Africa, and Jacobs told him about the extent of the poaching problem. 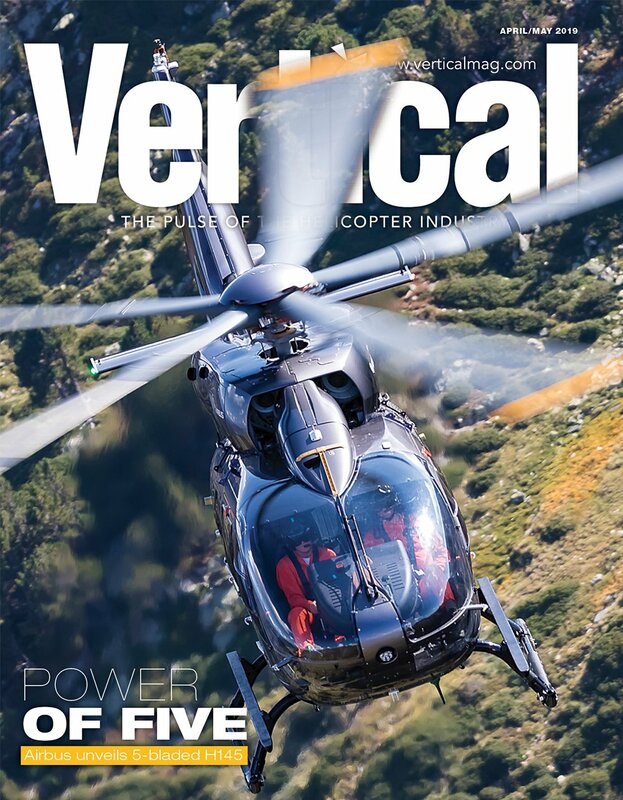 Hees put a marketing team on the problem, and after further research he brought Jacobs to the U.S. to get him certified to fly the Bell 407GX with night vision goggles. Then Hees shipped a Bell 407GT to South Africa as a loaner for Jacobs to fly, and they set up Rhino 911. Jacobs estimated he spends between 20 and 25 hours a month responding to calls about poachers, working with partners who can operate the aircraft’s forward-looking infrared (FLIR) system if poachers strike at night. Every situation is different, but Rhino 911 can track poachers with the aircraft and get law enforcement involved, said Hees. Eric Rudzinski went to South Africa with a film crew in 2015 and met park rangers battling the country’s rhino poaching problem. He quickly became concerned about their safety. Rudzinski saw helicopters as an essential tool, something pilots could use to find poachers at night using advanced thermal technology and guide park rangers on the ground. 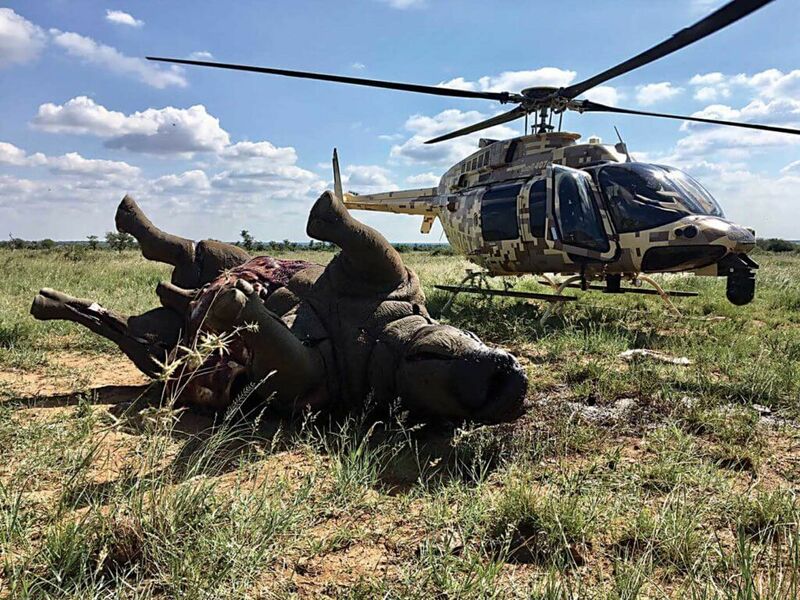 He started Rhino Air as a way to contribute to a solution, providing aircraft, fuel, parts, mechanics and pilots trained in night flying who carry out patrols and respond to calls about poachers. 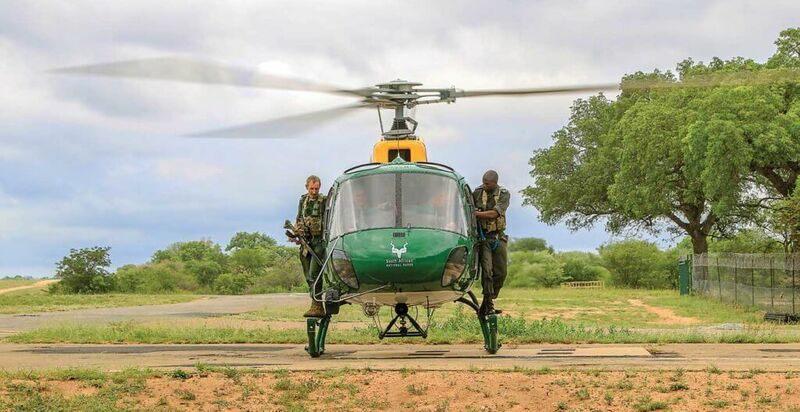 Rhino Air has two helicopters, including an Aerospatiale Gazelle, and two dedicated pilots who engage in anti-poaching efforts. 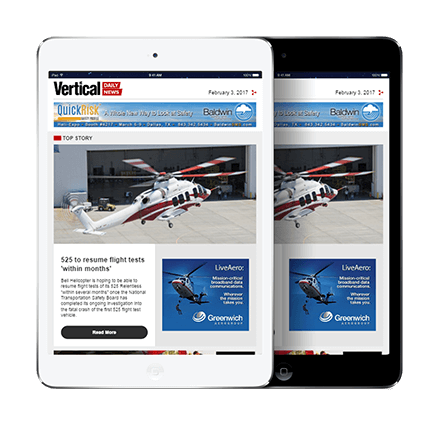 And the cause is quickly gaining traction in many corners of the helicopter industry. Night Flight Concepts, a Waco, Texas-based firm that provides night vision goggle consulting, training and maintenance services, has joined Rhino Air as a sponsor. So has Boulder, Colorado-based Churchill Navigation, a company that develops and supports an advanced mission management mapping system. 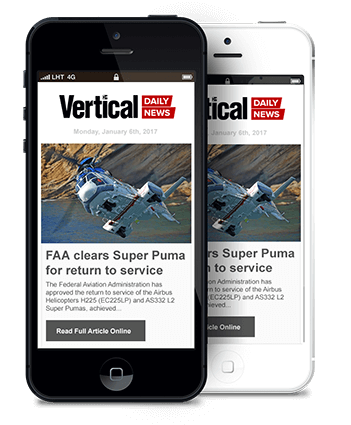 Vertical Magazine also sponsors the charity, along with Rotorzen and Gyronimo, a media production company that specializes in aviation. While South Africa has suffered the bulk of poaching on the continent since 2008, Rudzinski sees the country as a beacon for the rest of Africa. Mike Watson patrols an area of about 44,000 square kilometers in central Kenya with an MD 530, constantly searching for poachers and monitoring the black rhinos, white rhinos and other animals that roam the beautiful, rugged terrain. 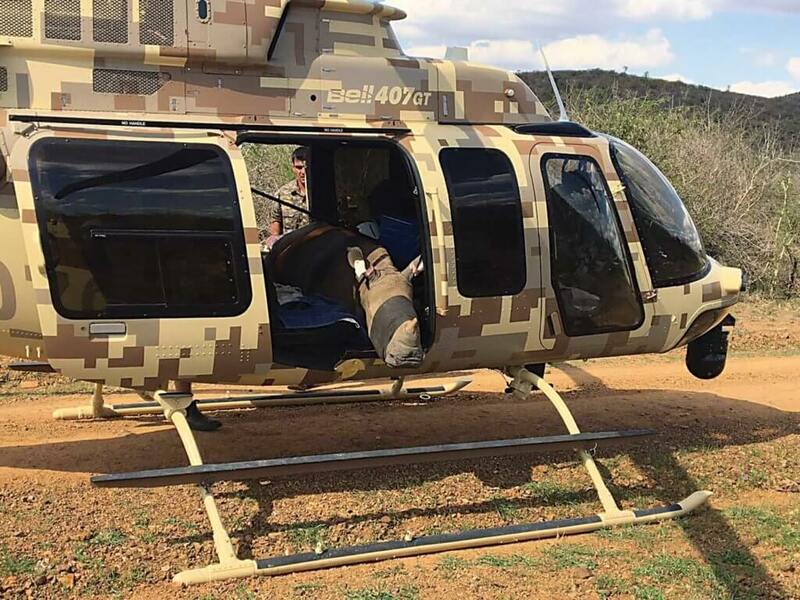 The area is so massive that a helicopter is a critical tool, used not only for anti-poaching measures, but also to capture and translocate wildlife to other areas. Despite significant successes in recent years, poaching remains a challenge in Kenya. On the Lewa Wildlife Conservancy, a UNESCO World Heritage Site northeast of Nairobi, 17 rhinos were lost to poachers between 2010 and 2012. 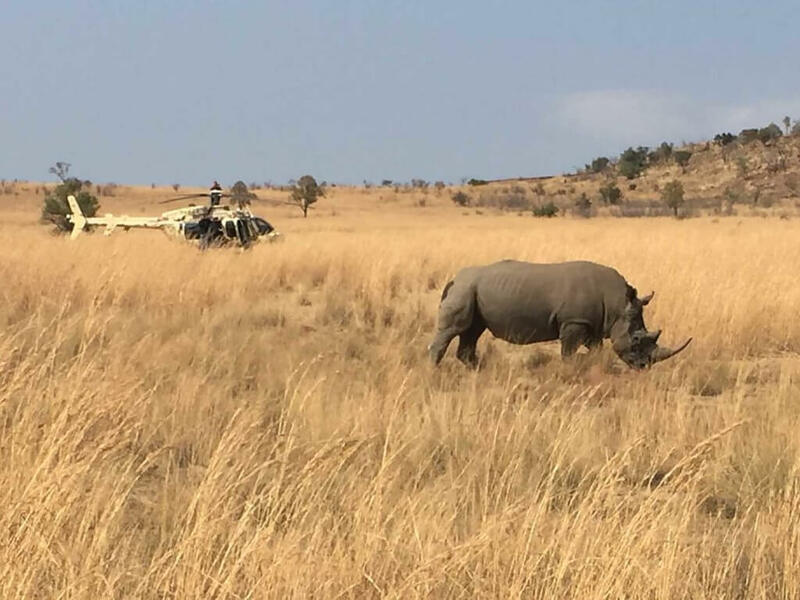 “[A] year later we got the helicopter, and we haven’t actually lost a rhino since,” said Watson, who serves as Lewa’s chief executive officer as well as its only dedicated helicopter pilot. “And also, the numbers of elephant being poached across that broader landscape of 44,000 square kilometers has been massively reduced. Lewa imported the MD 530 from Flight Trails in Phoenix, Arizona, and hired Bedford, Texas-based Rebtech to make the cockpit fully night vision goggle (NVG)-compatible. A Rebtech technician spent about a week in Kenya in 2014, modifying every light on the aircraft. “The lighting in the aircraft was modified to meet the Rebtech FAA [Federal Aviation Administration] STC [supplemental type certificate] for the MD 530, which includes all the instruments, displays, panels, annunciators and utility lighting,” said Richard Borkowski, president and chief executive officer of Rebtech. After the modification and testing was complete, the aircraft was approved and certified by the Kenya Civil Aviation Authority. Rebtech completed the job for well below cost, Borkowski said, in part because of the picture Watson painted of the trauma animals face at the hands of poachers. Despite the cost involved, Borkowski said Rebtech would do it again. Night Flight Concepts provided NVGs for the Lewa aircraft, selling them at cost and working with the U.S. State Department to secure licensing requirements at no charge, said company president Adam Aldous. Grant Knight came to Kruger National Park, the largest national park in South Africa, as a game capture student studying nature conservation. He saw how they used helicopters and decided he wanted to return as a pilot, imagining himself being in the air, counting game, doing game captures, being in the wilderness and enjoying the surroundings. But the reality of his decade or so as chief pilot in Kruger has been brutal at times, marked on many days with people wounded and animals mutilated and killed in a poaching crisis that has become a constant struggle. 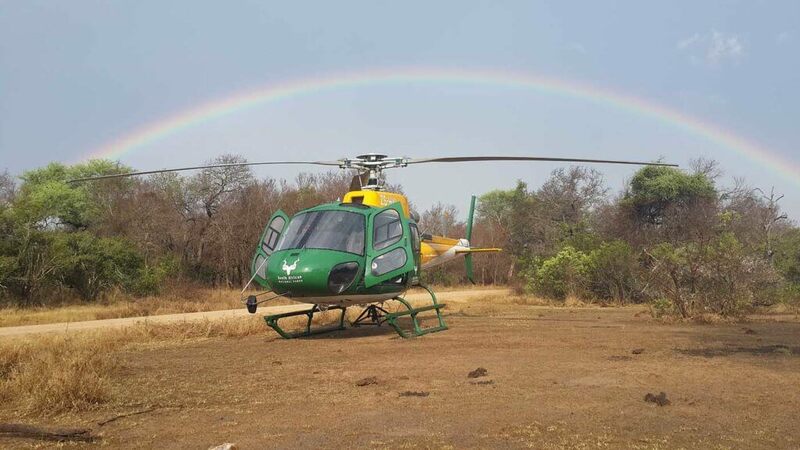 Kruger has four pilots who patrol the massive, two million-hectare park using two Airbus H125 and two AS350 B3 helicopters. 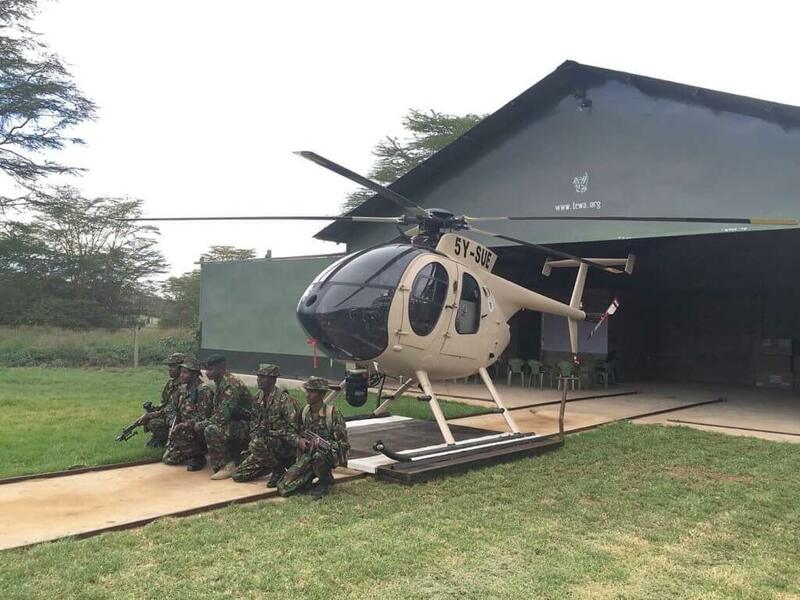 The helicopters also help redeploy ground forces and sometimes engage in armed contact with poachers. They’re also used in a “medevac kind of role” if someone is wounded, said Knight. Those protections include removable bulletproof materials for the helicopter floors and advanced medical training so aircrews can treat themselves. South Africa saw a decrease in rhino poaching in 2015 for the first time in seven years, but the casualties were still staggering. According to National Geographic, 1,175 rhinos were poached in the country in 2015, compared with only 13 rhinos killed in 2007. While the breadth and depth of the poaching crisis could be a source of despair, there is a sense for Knight, as there is for Nico Jacobs, that his efforts are making a difference. Where there is brutality and unspeakable suffering, there is also hope.